So I went to Smiley's on Saturday and bought a WHOLE bunch of yarn. There was this one particular deal that I was very happy about. It was a bag of 10 50 gram balls of wool/acrylic/alpaca blend. It's quite soft and very nice. I als o found yarn for my godson's sweater (left). It's not the Lion Brand yarn that the pattern calls for, but it is a nice chunky yarn that's quite plush. It's by Patons and it's called Melody. It cost more than I would have liked, but results have been wonderful. The pattern is from the Summer 2005 issue of Knit.1. I was a bit scared of the fair isle aspect of the pattern, but I didn't think that the pattern big enough to justify intarsia. 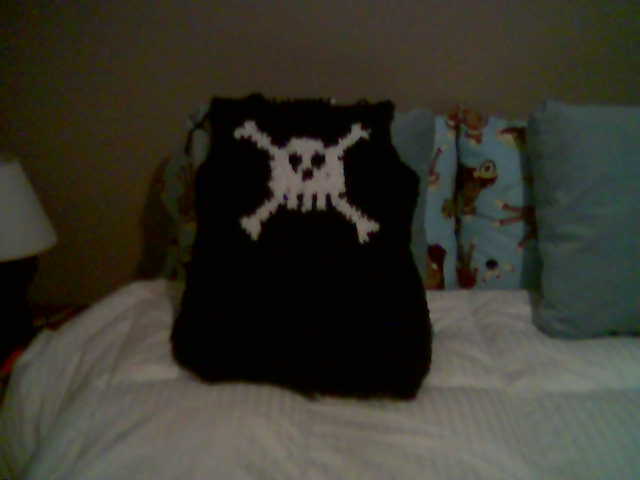 I think that it turned out well, though, considering the bulkiness of the yarn. I even like the peakaboo aspect of the black under the white. On a different note, I am in love with a new (to me) cast-on method. I learned to knit using the long-tail method and it was always a pain in the keester to determine how much yarn I needed for the tail. But this new method is great! 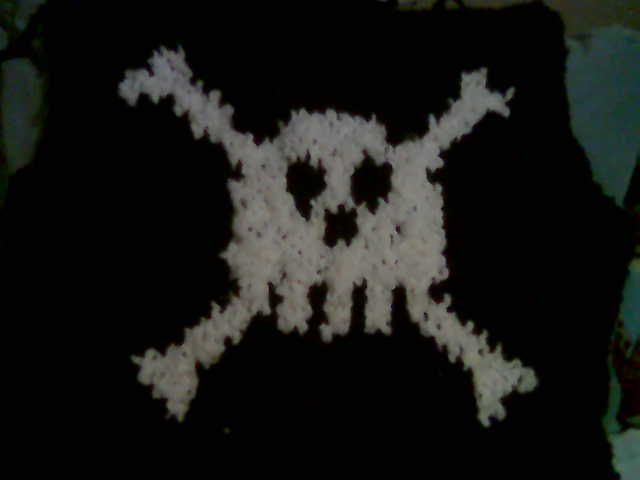 Unfortunately, I don't remember the name of it, but here's the description: Make a slipknot, then knit one stitch and place the new stitch on the left needle. Then knit a new stitch and place it on the left needle and continue this way until you have the number of stitches needed. Some of the other yarn I got over the weekend is going to be used in felting and afghan projects for my sitting room. The theme is Punk Princess. Hopefully, pictures will be on the way soon. 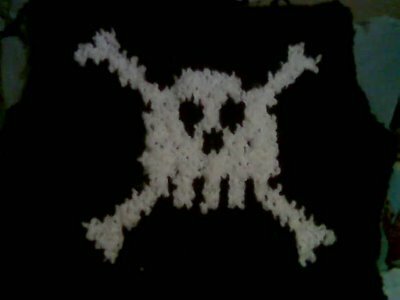 This is my blog about knitting. I have quite a few projects going at all times and this is my place to brag, vent, procrastinate, solicite and give advice. If you like knitting, I hope you enjoy it.